When feeding a raw diet to your dog you would naturally want to feed only the best quality, here at Wolf Tucker we make no compromises on the quality of raw materials we use to create our meals. Often, quality may be associated with expense, however we also believe that feeding your dog their natural raw diet should be affordable. That's why we introduced free shipping on all orders over 12Kg* - many of our competitors only offer free shipping on 36Kg. 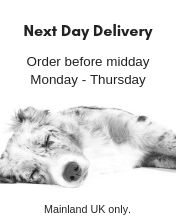 Not only do we offer free shipping but we were the first raw dog food company in the UK to offer our customers a loyalty program**. So for every £1 you spend with us you will collect 1 Pack Point, once you have accumulated a number of Pack Points you can redeem your points for money off coupons to use against future orders. - saving you money! Plus, we regularly check our prices to ensure we are competitive with other brands. 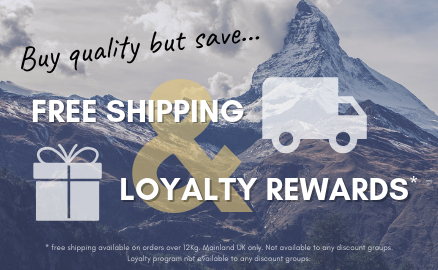 We believe that you shouldn't have to compromise on quality in order to save money, learn more about our free shipping and loyalty program. * Free shipping available to Mainland UK only. Not available to any discount groups. ** The loyalty program is not available to any discount groups.